Are they plants? Are they fungi? They’re both! Lichens are everywhere you look and they are as fascinating as they are unbiquitous. Join lichenologist Dennis Waters to learn about these remarkable botanical partnerships. Understand how they work and why they have grown to be so dependent on each other. Following a short talk, we will take an excursion into the Preserve to find lichens growing on trees, on rocks, and on the ground. You will learn about their lifestyles, their habitats, and their important contributions to ecosystems. 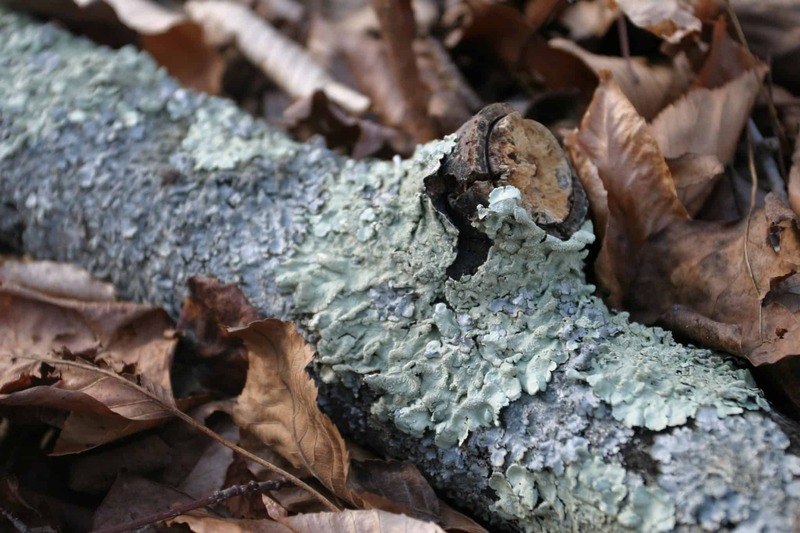 You’ll have plenty of chances to tour your hand at identifying the lichens you see. Dennis Waters has been a lichenologist for ten years. He is currently completing his first lichenological survey of Mercer County, New Jersey, in collaboration with the New York Botanical Garden, the Mercer County Park Commission, and the D&R Greenway Land Trust. In recent years he has been part of lichen surveys in Quebec’s Gaspé Peninsula, the Dare Regional Biodiversity Hotspot in North Carolina, the Straits Counties of Michigan, and the Talladega National Forest in Alabama. Additional Information: Online booking for this program closes on October 9, 2018. If you wish to register after this date, please call 215.862.2924 for space availability and reservations.